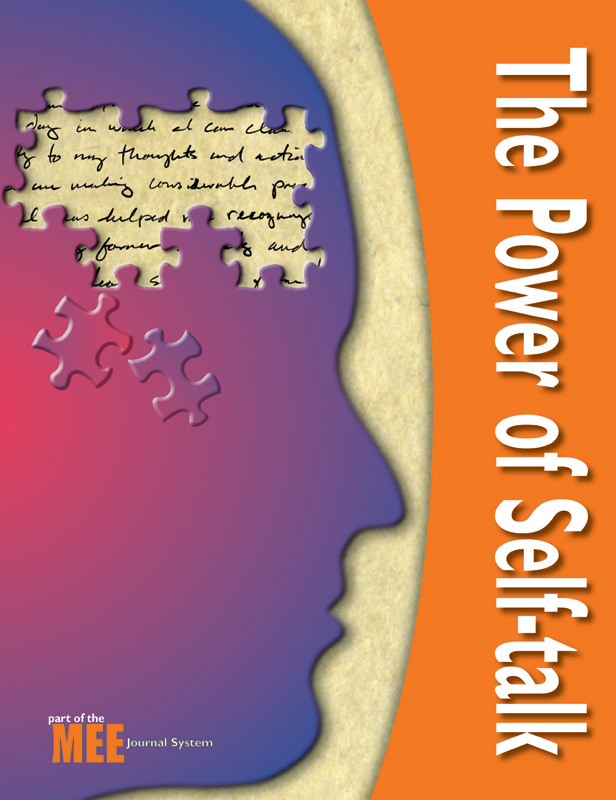 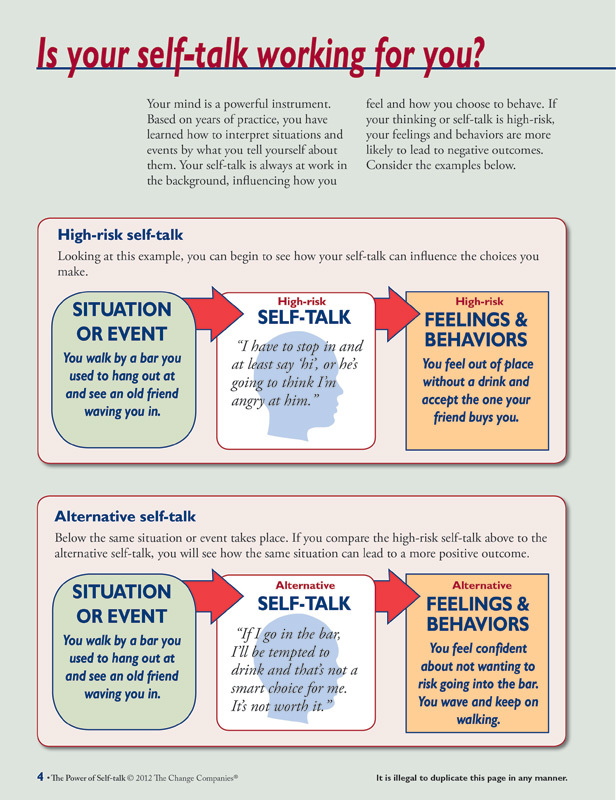 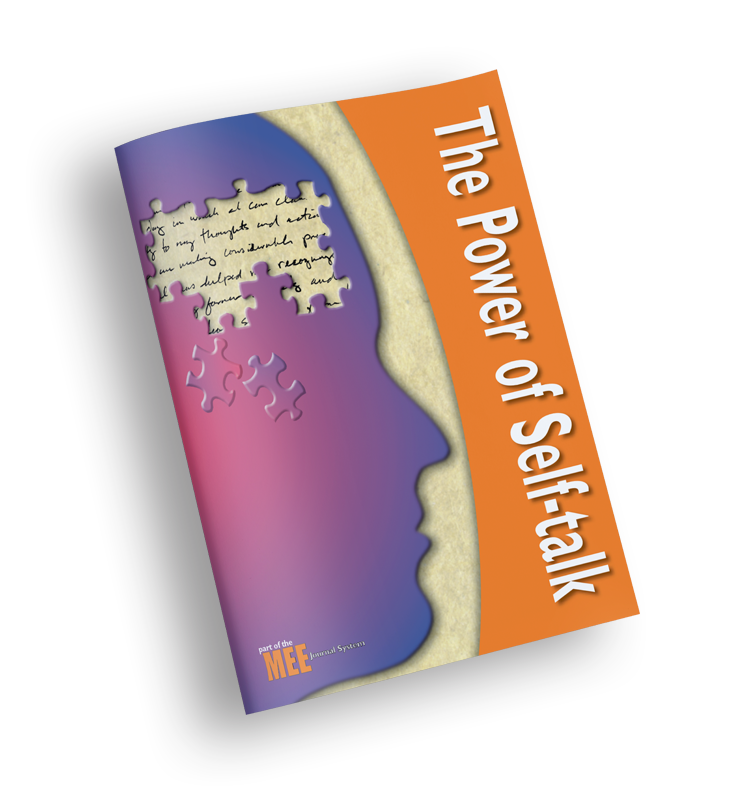 The Power of Self-talk explores the relationship between thoughts and addictive behavior problems. 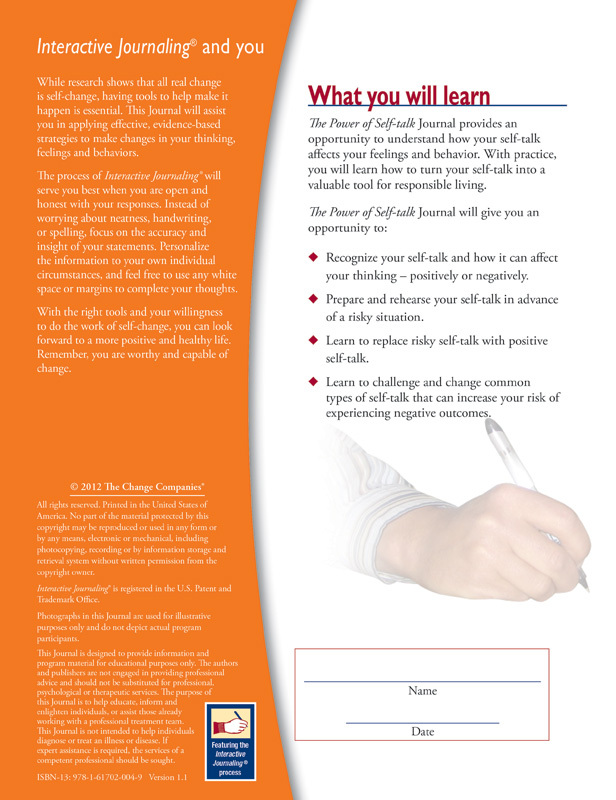 Participants learn to challenge and replace common errors in thinking. 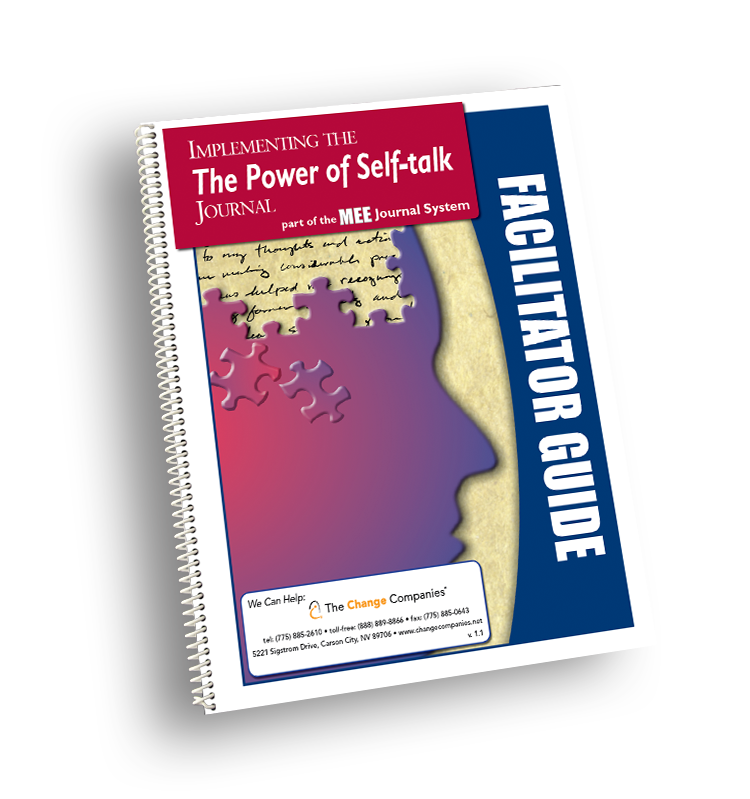 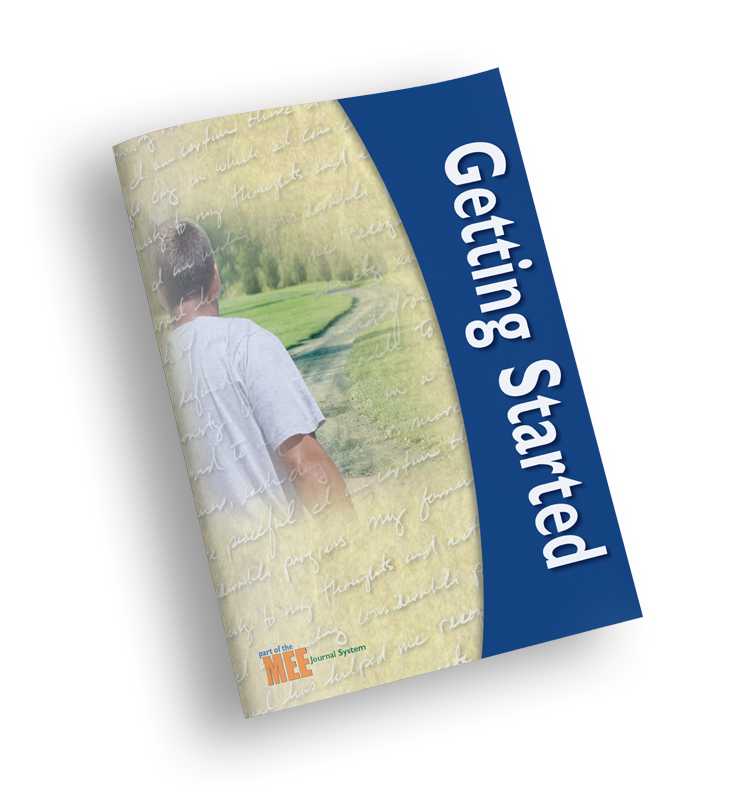 With practice, participants will learn how to turn self-talk into a valuable tool for responsible living. 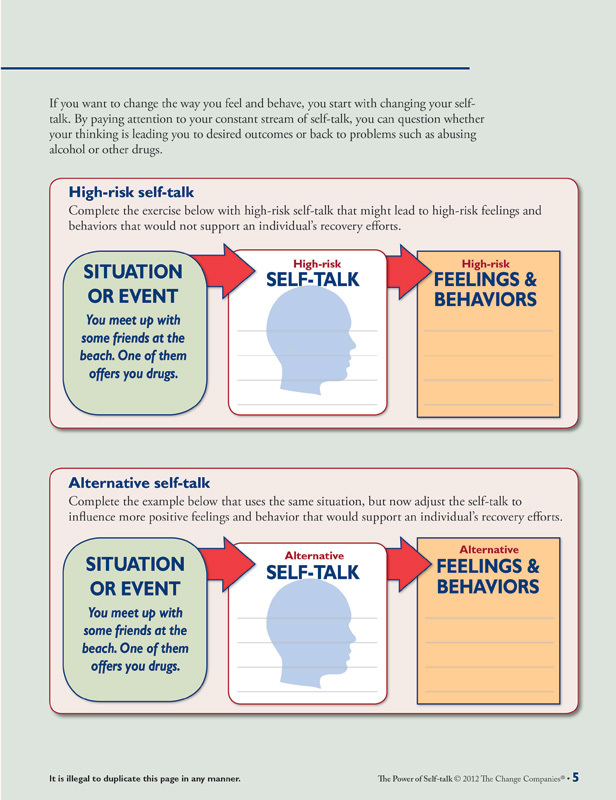 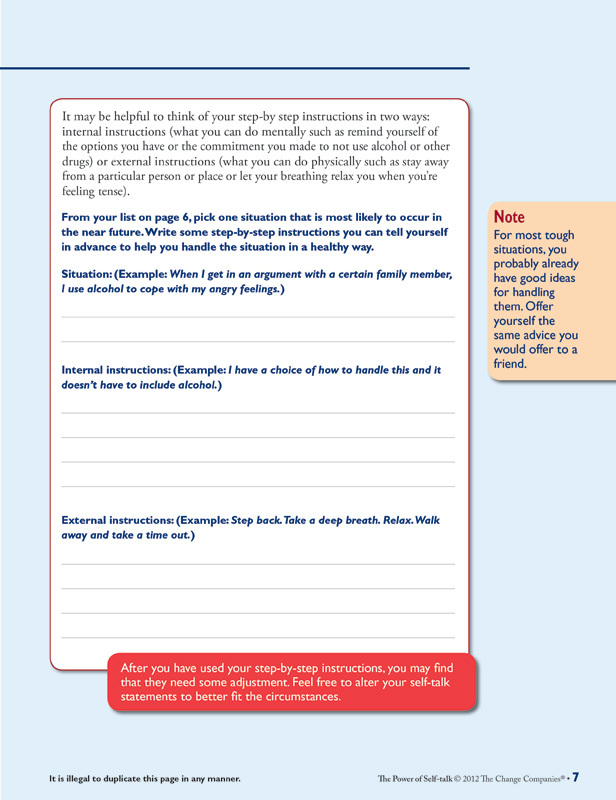 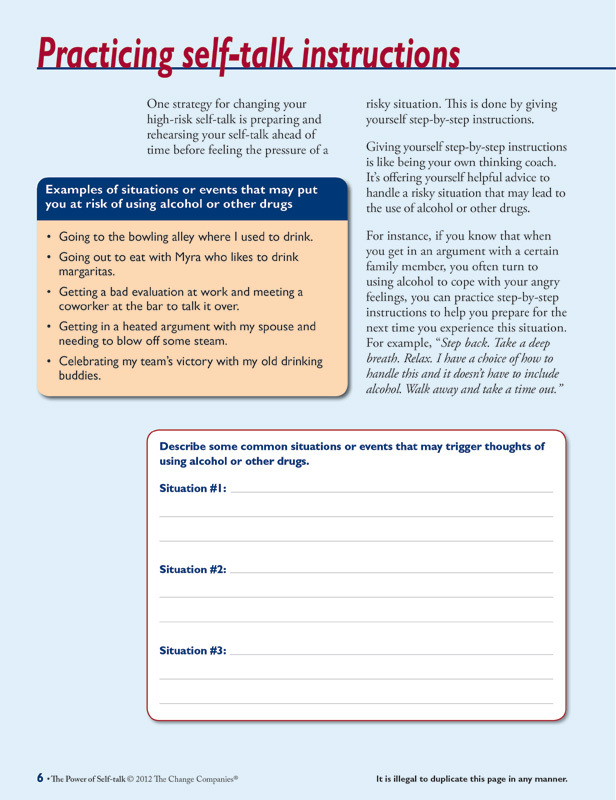 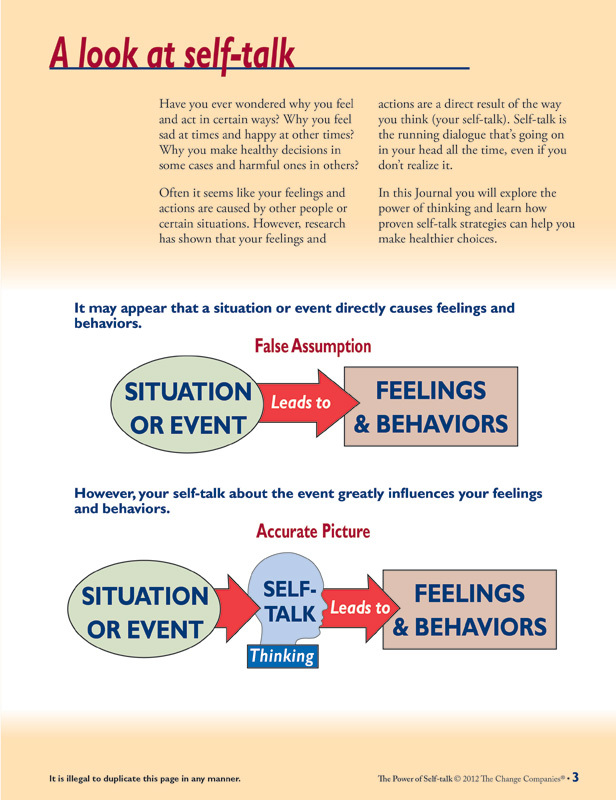 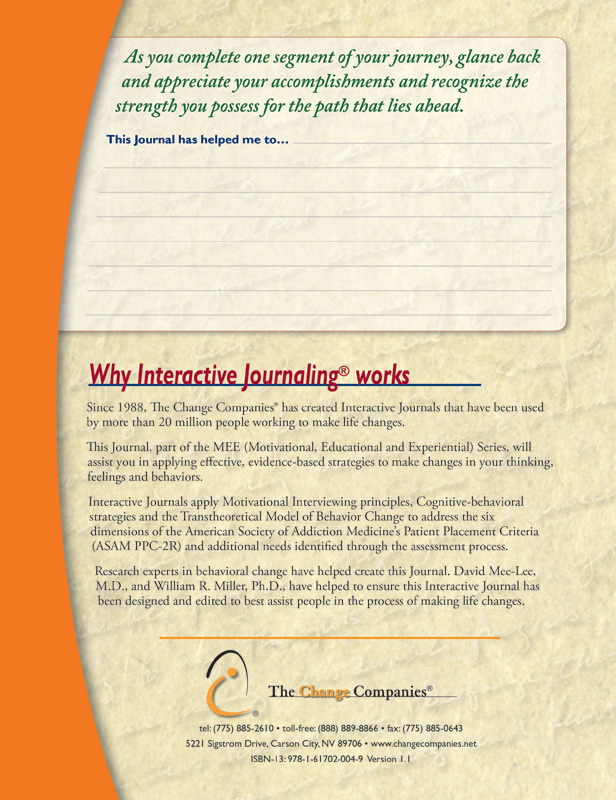 Alternate thoughts are provided, and activities focus on applying specific skills for modifying maladaptive thoughts by preparing and rehearsing positive self-talk.